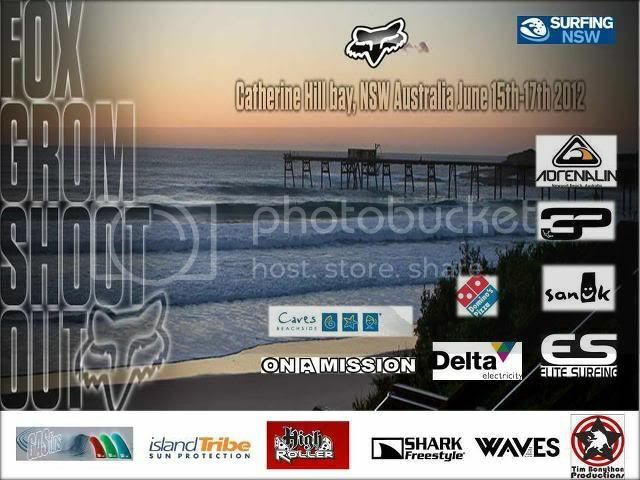 Fox Grom Shoot Out runs June 15th - 17th at Catherine Hill Bay. Dubbed " Three days of chaotic fun, waves and surfing " the event features no first round eliminations (all competitors surf 3 times at least), beach side fun, givaways & promotions. Good luck to the Le-Ba groms heading south.